Kawthaung is a township located at the South of Myanmar on the tip of Peninsular. It is placed on the opposite side of Ranong Province in Thailand. People from Kawthaung can easily take a boat across the sea to reach Ranong. But during the monsoon season, it is very dangerous to cross the sea, due to strong winds. Kawthaung is a border town and many people come to this place from different parts of Myanmar with a hope of finding jobs and along the way, many young girls and women fall victim of human trafficking. 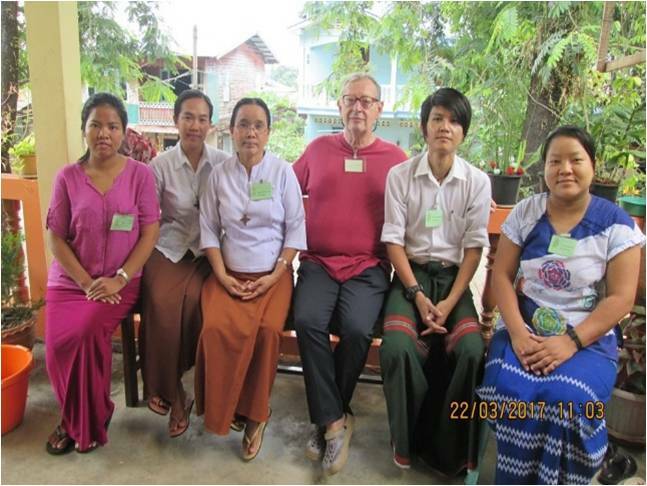 The RNDM Sisters of Myanmar province, opened a mission here in 2010 and continue their mission of Anti- trafficking, Health Clinic, HIV-AID Centre, Women empowerment and Education to the people of Kawthaung Township. Although these projects have been going on for several years, it has picked up a greater enthusiasm now, as it is being supported by the Medacross Foundation, Turin and the Lentiy Foundation, Australia. The Medacross supports the Health clinic with finance and personnel while the Lenity Foundation supports them with infrastructure and other needs for women empowerment, tuition classes and nutritional programs of the marginalized groups. Recently, our new Clinic, Myat Thit Sar has been flourishing with so many patients under the care of Doctor Emmanuel KyawThiha Phyo, Nurse Zeta, Nurse Ida, Sisters Rosa Hla Myint and Maw. We reach out and give medical care to more than forty patients every day. We welcome in our clinic all those in need of treatments, irrespective of their being rich or poor, Muslims or Hindus, Buddhists or Christians. Many of the patients who come regularly to our clinic are from poor families who cannot afford good medical treatment elsewhere. The patients are very grateful for our services and medical aids. It has been a great joy for us to see how our patients are improving and getting healed from their illnesses. In addition to our usual clinic, we run a Mobile clinic every month for the people working in the Rubber and the Palm Oil plantation areas. We have discovered that many children especially those under five from these areas suffer from malnutrition. So we give the parents health talks and conduct awareness programs to improve the condition of their children. 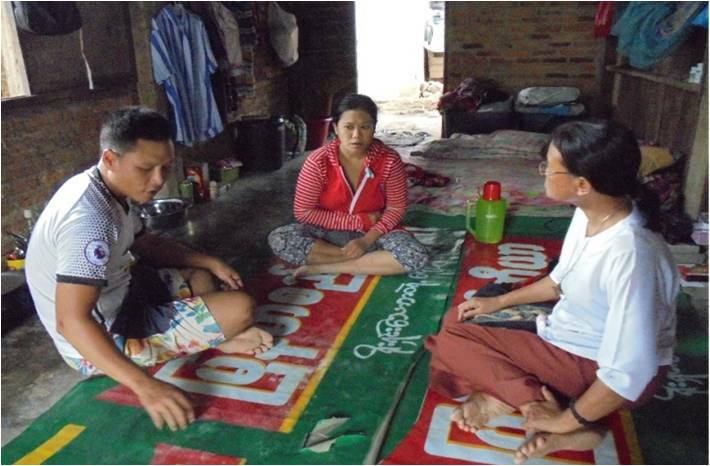 Sr Helen Thein Aung and our Associate Ma Khin Mar Oo are engaged in taking care of PLHA (People living with HIV/AIDS). There are 27 patients in all. We visit their houses regularly and listen to their family stories often faced with great difficulties and challenges. 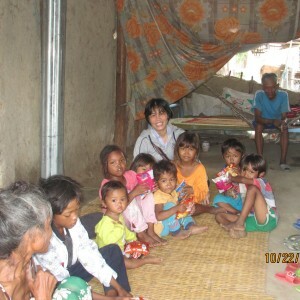 Every Wednesday, we accompany them in their appointments to the doctors. We also offer nutritional program which includes a monthly support of nourishing foods like rice, cooking oil and eggs. We also provide them with travel fare to come to our community and hospital. 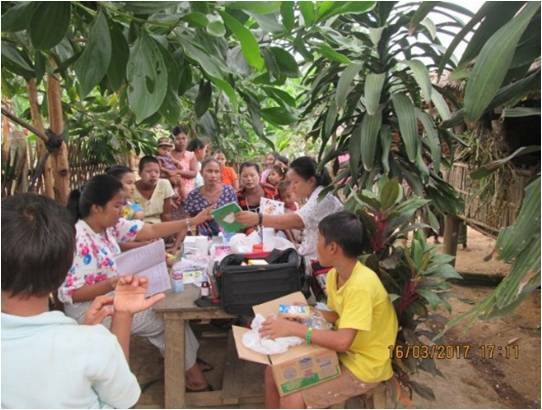 We plan to make a gathering of our patients with various activities on health awareness and empowerment program in the near future. 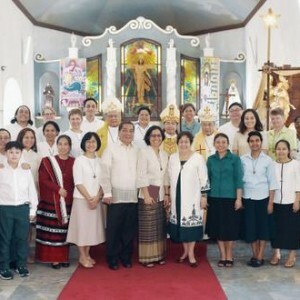 The Sisters are committed in a special way to the service of women, young and children in Kawthaung mission. We believe that when we educate women and children, they support the family’s life in future and the society. We give our time and service to humanitarian works such as prevention of trafficking women, and children. 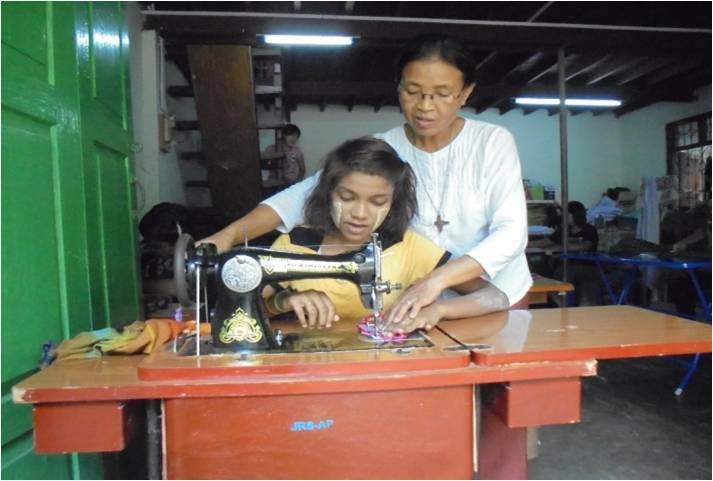 Sewing project is for women, tuition classes for poor children and nutrition programs. These activities keep them away from the vices at the border and help them to improve their lives. People of all religions, race and culture are welcomed at our centre. We arrange different sessions for sewing in the morning and afternoon. Morning session is for those who want to learn tailoring that they may not only learn this skill but also use it to make a living for themselves. Afternoon one is the workroom. We pay them according to their work and production. These young women produce beautiful blouses, dresses and various styles of bags and hats. We also take orders for school uniforms from the RNDMs’ pre-schools and supply them with quality products. From time to time, we share with them our knowledge in basic health care, self worth of women and the value of our human dignity which helps them to value themselves and boost their self confidence. 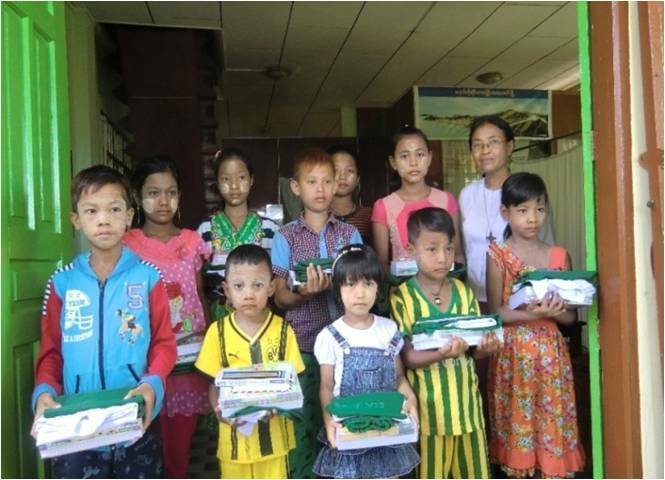 The school term in Myanmar is from June to March. We conduct tuition classes in the months of April-May. Currently, there are 60 children from nursery to grade five. We conduct free tuition classes for those from the poor families who cannot afford any fees. We carry out two sessions of guided study daily. On Saturdays, we organize nutrition program and give these kids some nourishing foods and drinks. We also teach them moral and ethical values and arrange some fun time for the kids. The RNDMs greatly appreciate the support and partnership of Medacross and Lenity Foundation in our humanitarian service to God’s people.